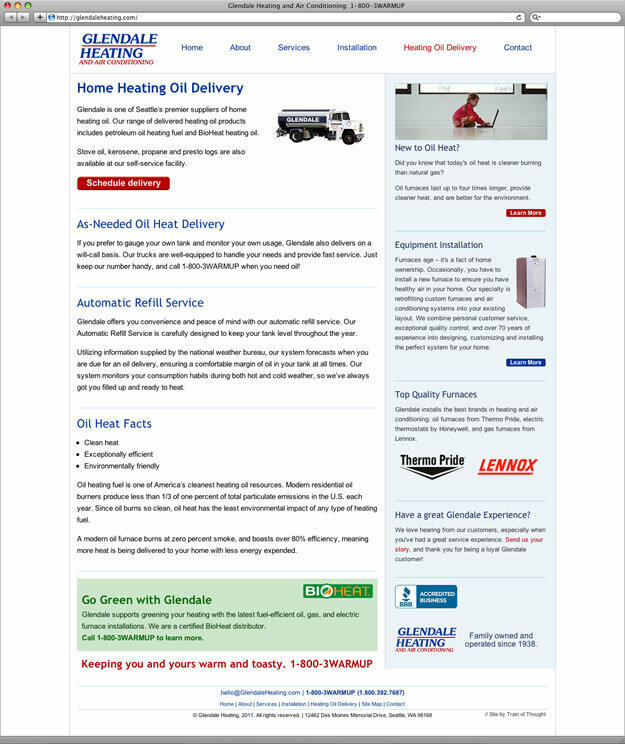 The Glendale Heating website is simple, functional, and is a great example of how our SEO copywriting can help a modest website rank well in search engines. 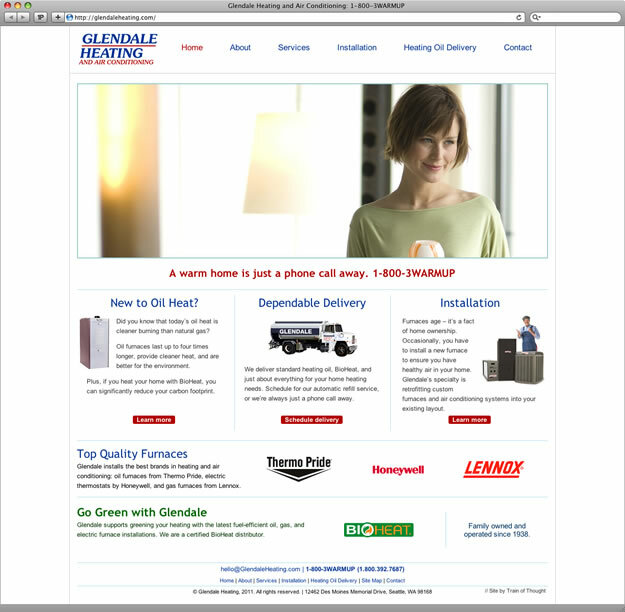 When Glendale hired Train of Thought, their site was woefully outdated. We brought them up to date in no time, launching a site that reflected their long history of providing straightforward offerings and great customer service.